This unit is meant to be taught over the course of about 2 weeks. 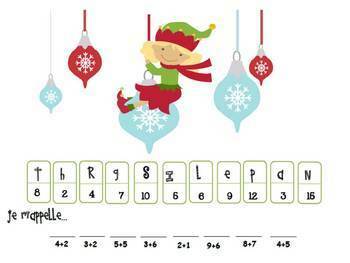 There are 6 letters included from an elf named Louis who comes to visit the classroom. 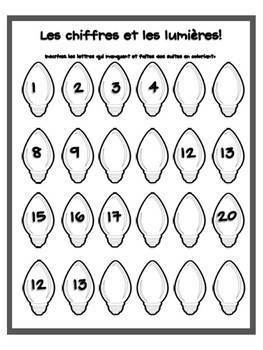 The letters act as prompts to introduce different holiday themed activities that will be exciting and engaging for your students. They will look forward to seeing Louis each day (I bought a small stuffed elf to act as Louis- stuffed toy not included in unit) and they will be prompted to write letters in response to the letters he leaves them. (I also made a mailbox for the letters they wrote to him). The list below details exactly what is included in the unit. 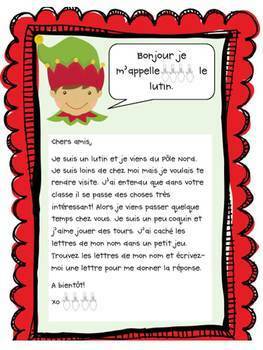 There are also Louis le lutin “stamps” you can print out and glue on the letters Louis sends to your classroom. Please send me any questions you might have about the unit before purchasing. 3rd letter: about favourite holidays- Writing prompt: What are some holidays you like to celebrate?